THE NEWEST CHAMPAGNE BOTTLE SPARKLER CLIP IS HERE! These Double sparkler clips are designed a bit different than the previous single and triple clip versions, and in a better and safer way! The "DOUBLE Bottle Sparkler Clip" is the plastic clip that goes in between the Bottle and the Sparkler, This model of Clip is designed to hold 2 Traditional Champagne Bottle Sparklers or 2 LED Nitesparx LED Sparklers. Our new safety Dual bottle clips are specifically for your Champagne bottle sparklers. These plastic reusable clips safely attach to any size spirit bottle! Nightclubshop found these designed with style and functionality in mind, this product provides safety not only for your staff, but also for your customers! We understand that safety and convenience are two driving factors when selling a bottle with champagne bottle sparklers at a club or event. 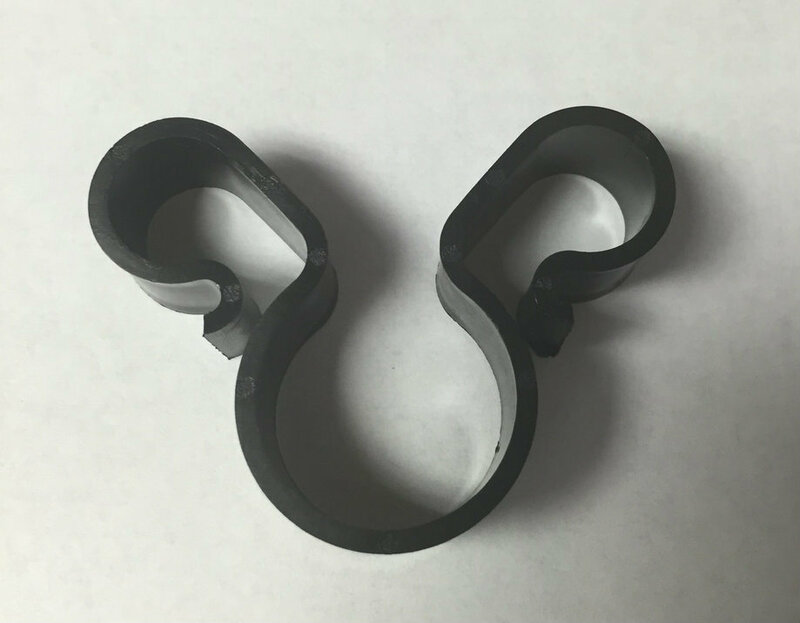 With our clips you no longer have to worry about potential accidents with rubber bands or twist-off’s. 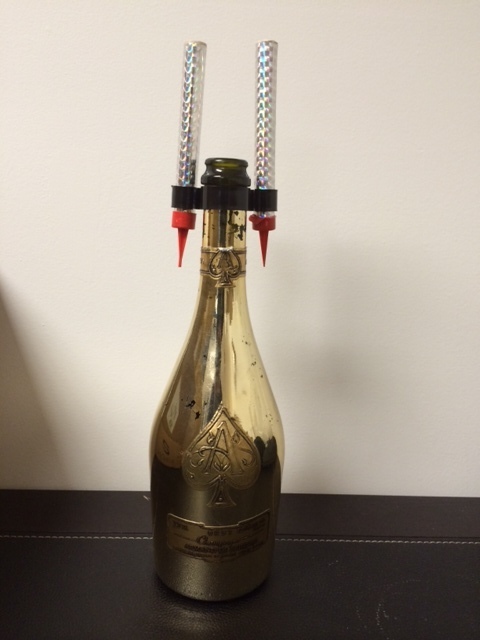 You can now safely attach our champagne bottle sparklers to any size bottle without any concerns. Easily place the DUAL clip onto the bottle and attach TWO sparklers, one on each side, now the sparklers are positioned for the Sparkle firework to rise upwards, and for carrying and handling of sparkling bottle is now manageable and safer. "Single Bottle Sparkler Clips" also are available in a single or a "Triple 3 (three) Sparkler holder clip", see other products. Set off a visual firework display with the single bottle sparkler clips and after you can drink your alcohol, here at NIGHTCLUBSHOP.COM your safety is our number 1 concern. Please do not handle these Sparklers or any fireworks under the effects of alcohol.